For a limited time only, when you run a YouGov Omnibus survey in any international market, receive half price off any questions run in India. Questionnaire design and data delivered as excel tables. Analysis provided by gender, age, region, working status and marital status. Standard questions allow up to 10 answer options, or three statements answered against a scale. Additional answer options and analysis are available upon request. Add images and videos to your surveys for FREE. 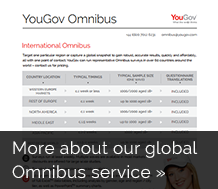 Contact your local Omnibus team or the Omnibus team in India at omnibus.in@yougov.com or call +91 9987 688511 for more details. Offer only applies to questions run on YouGov's Omnibus service. 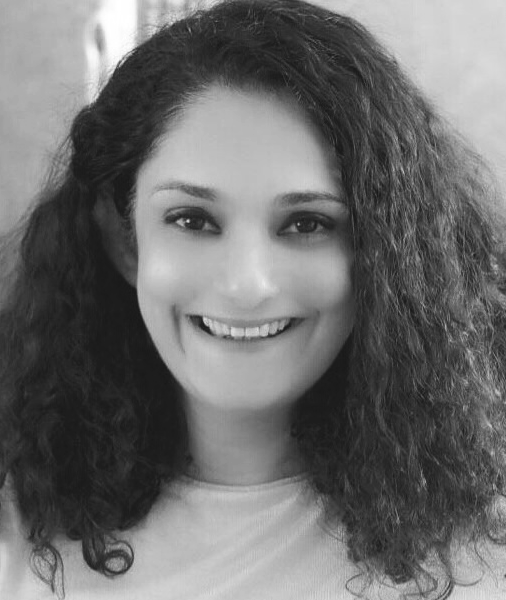 Offer applies when Omnibus questions are run in any other international market outside of India. Offer applies to any questions booked before 5pm (IST) on 30 April 2018.